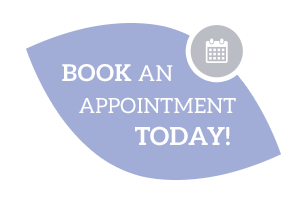 At Beaufort Park Dental Surgery, our aim is to prevent dental disease rather than treat it at a later date. 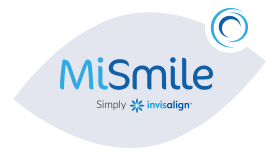 This means you will need less treatment over time, incur less expense and will maintain a pain-free, healthy, happy smile. Dental hygiene is vital in maintaining a healthy mouth. It involves making sure that dental plaque, a soft sticky substance mostly made up of bacteria, is removed from your teeth every day. If left, the bacteria in the plaque can cause decay, bad breath and gum disease. In addition, tartar or calculus is formed from hardened plaque, helps more plaque to form, making it harder to remove when you brush. Decay happens when sugars in food and drinks react with the bacteria in plaque, forming acids. Every time you eat or drink anything containing sugars, the bacteria reacts with it to form acid. These acids attack the teeth and start to dissolve the enamel eventually causing a cavity. We can help treat any existing dental health issues but more importantly give you the advice and techniques to prevent problems from happening in the future. Cleaning away the plaque regularly from in between the teeth is one of the most important ways of maintaining tooth and gum health. Our highly trained Dental Hygienist and Dental Therapist are specialists in oral health and will be able to give personal advice and show oral hygiene techniques suitable for your mouth. Periodontitis, the scientific name for Gum Disease, is a chronic infection of the tissues that support your teeth – the jawbone and the gums. It is established throughout the years and is usually associated with bad breath, bleeding gums, mild to severe discomfort and teeth that present mobility and unpleasant appearance. If left untreated it will ultimately lead to bone and tooth loss. Mainly, insufficient oral hygiene. There are several risk factors that can make you more susceptible to this disease, such as inadequate restorations (bridges, fillings, dentures), genetics, smoking, diabetes and systemic diseases that weaken your immune system. Periodontitis is irreversible, but it can definitively be arrested and its symptoms can be reversed. This is achieved by adjusting oral hygiene techniques, replacing inadequate restorations and localized antibiotic therapy. In extreme cases, simple surgical procedures are crucial to improve significantly the gum condition. After the periodontal condition is stabilised, it is advisable to restore the eventual teeth gaps, preferable with implants. Keep an immaculate oral hygiene and coming to regular check ups is then essential. Our highly trained hygienist can help keep your teeth and gums as healthy as possible and give expert advice on how best to care for them on a day-to-day basis.